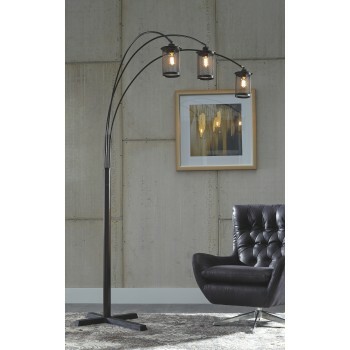 This floor lamp impresses with its industrial design. The long arc, bronze finish and metal shades are simply striking, while the dimmer switch and adjustable arm and neck let you control where the triad of bulbs shine. What a perfect sofa companion that’s a mix of urban, stylish and functional.